Being a dj and producer from The Netherlands, describing his sound as groovy and infectious, Dennis Ramoon developed rather quick in both areas. With an open vision and not believing in boundaries, he works with passion and determination on his list of releases. His love for groovy and infectious beats establishes the foundation of his productions and dj sets. Born in Hoorn, The Netherlands in 1983, Dennis grew up in an era where hip-hop and house music where just making there debut in the world. Inspired by styles such as acid, drum ‘n’ bass and jungle and listening to artists like The Prodigy, his love for beats was learned at a young age. Next to house-oriented music, Dennis was a big fan of underground rap music. Where his peers followed the mainstream music and chewed whatever MTV would feed them, he would spend his days in record stores looking for those diamonds nobody had ever heard of. Until this day, Dennis is still swimming upstream and taking a gamble. Instead of following the herd he stays with his true self and keeps developing his own unique style. With such a passion for music it’s no surprise Dennis found his way into the studio and started making his own tracks. Ever since his first release in 2010, the list of releases is expanding rapidly. With releases on Nervous Records, Hed Kandi | Ministry Of Sound, Misitique Digital and many other labels, and continued support from the likes of Erik Morillo, Markuz Schultz, David Herrero and Stefano Noferini just to name a few, it is safe to say he’s put his mark on the international dance scene. 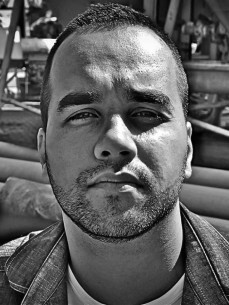 In 2011 his remix for Nino Bua’s ‘’Back to the Underground’’ gets massive attention worldwide. It appears in numerous podcasts from leading names in the scene and eventually makes an appearance on ‘’Hed Kandi World Series Barcelona Compilation’’. ‘’We Come Together’’, released early 2012 on Dance Lab Recordings, hits several charts in a matter of days. ‘’Tribal in NY’’ gets featured on one of Nervous Records sampler cd’s. After these successes in the past, the future is looking bright as well. In 2012 Dennis gets noticed by the legendary Nervous Records, and gets signed with this major label. Giving his career a significant boost. With a lethal dose of sub grooves and heavy drums, he drops ‘’Kill the Messenger’’ EP as first release on the New York City based record label.